Google+ Pages for Brands Have Finally Arrived! The moment that so many have been waiting for is here. Google+ Pages for brands and businesses went online this week! Let’s take a look at Google’s newest offering and consider some of the implications. Pages can’t add people to circles until the page is added first or mentioned. This is a wonderful limit on brand intrusion within the platform. A very smart move proving the company has learned from its earlier blunders in the social sphere. Facebook has often been criticized for not adopting an opt-in approach like this. Pages can be made for a variety of different entities whereas profiles can only be made for people. Just like Facebook Pages, although many people out there are still confused by this. The default privacy setting for elements on your page profile is public. Hardly shocking, as it is meant for brand promotion. Pages have the +1 button. You cannot +1 a profile, but pages can be treated just like websites that have the button integrated. Pages can’t +1 other pages, nor can they +1 stuff on the Web. I’m sure a lot of people will complain about this, but I think it puts the focus back on quality of interaction. It’s a social space — be social or be ineffective. Pages can’t play games. Not a great loss. Pages don’t receive notifications via email, text, or in the Google bar. This I am underwhelmed by. Some sort of notification system needs to be developed soon. For professionals, especially those who will be managing multiple pages, it is vital to be able to get real-time notifications. Pages can’t hang out on a mobile device. A blow to those with a focus on mobile, perhaps, but I can’t see it being a big issue. Local pages have special fields that help people find the business’ physical location. With the boom in location-based services like Yelp, this is a wonderful new tool. All in all, it looks like Google has provided a terrific suite of tools for brands with its new Pages program. The thing I am impressed with is the way it has selectively limited brand participation in favor of user control. Making sure that interactions are all on an opt-in basis is both smart and ethical. Direct Connect is basically a shortcut in Google’s search engine that allows you to jump directly to a brand’s Google+ page. This is huge. But more importantly, Google integrates Plus into its web-dominating search engine. With Google+ Direct Connect, searchers can insert a ‘+’ before their query and jump directly to a business’s Google+ page. Type ‘+YouTube’ into a Google search box, for instance, and Google will take you straight to YouTube’s Plus page. I know a lot of people who rely on Google tools for most of their work. I use them extensively myself. 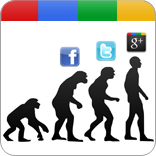 The seamless integration of G+ across the board gives it one special advantage: ubiquity. You see, this is no longer just about ‘social.’ This is the face of the new interactive Internet, a one-up over the traditional Web site. These Google+ pages are powered by search, share and followers. This isn’t a static place where companies host their corporate blogs or post their news releases. This is a dynamic environment where companies host live video ‘hangout’ sessions and engage in discussions with their followers. Google’s policy on pages running promotions is even stricter than Facebook’s. The promotion policy for Google+ Pages prohibits brands from running any promotions or competitions directly on their Google+ page. Linking to promotions hosted elsewhere — on a website, for instance — is fine, as long as the promotion is not hosted on Google+ itself. Google will use G+ data to influence how they deliver results to search queries. If a company could give away awesome prizes in exchange for +1s or ‘encircling’, the data would be skewed and would be worthless. In the end, this will result in cleaner data and an increased spend from marketers. It seems obvious that Google has not only made an effort to learn from its ill-fated attempts at social media (anyone remember Buzz? ), but to also to pay particular attention to the missteps of Zuckerberg and company. It is evident in its user interface, and it is evident in its policy as well. While some will complain about the reduced ability to interact, I predict this will be one of the things that really makes Pages take off. Next Time: A Closer Look at Google+ Pages: How-To’s and Tips.